Welcome to the Apple a Day Giveaway Hop hosted by MamatheFox. 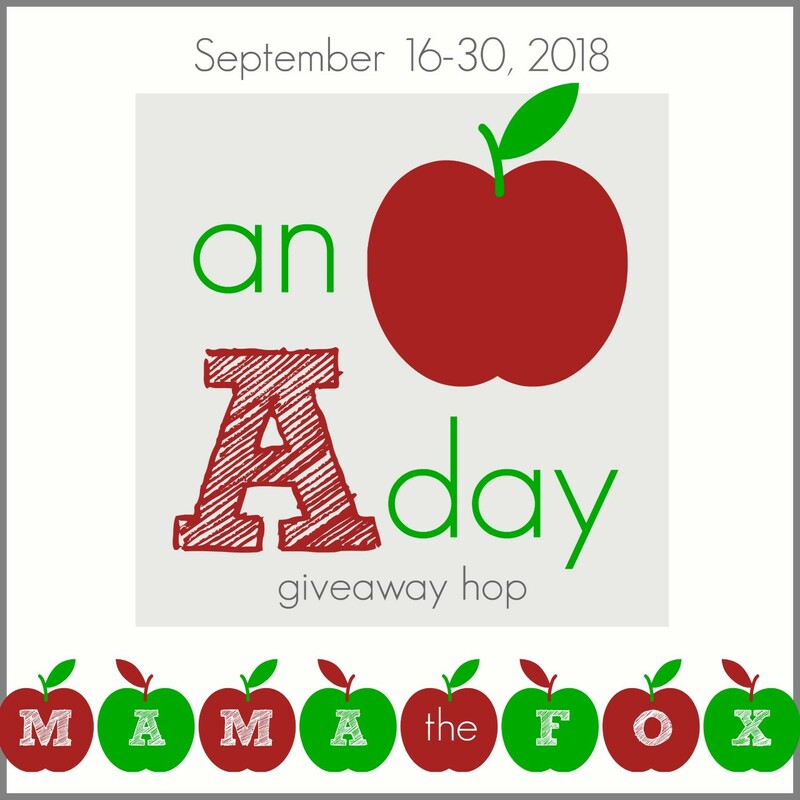 From now through September 30, hop along to all participating blogs to enter a variety of family friendly giveaways! There is no limit to how many you can win so hop along to enter them all. Every Sunday after church, I ask my 5-year-old a simple question, "What did you learn today?" Nine times out of ten, her response is the same, "I learned about Jesus." No details, no specifics... just Jesus. While that IS a great answer, sometimes I cannot help but wonder if she's really paying attention. Is she absorbing the individual lessons each week... or just telling me what she knows the correct answer to be. But then she will have her moments when out of the blue, she'll recall a Bible story and tell me all about it. She'll see images from a familiar story and put the pieces all together. I live for those moments: the moments that we realize even at a young our kids are absorbing everything that we teach them. With that I find myself more encouraged to keep introducing in Bible stories wherever we can. The first thing that struck me was how absolutely gorgeous this book was. Now, I know...we're not supposed to judge a book by its cover, but let's be honest... kids do. They are so often very visual, and if a book doesn't grab their attention from the cover, they're not going to give it a chance. At least this is certainly true for my own children. But that was not an issue here, the beautiful illustrations drew us in and kept us wanting to see more with each turn of the page. To be honest, I truly did love it just as much as the children did. More importantly, the stories were just as great. We loved reading through all of these stories and seeing God's spirit in action. Some stories were a little bit longer than others, but all are just the right length to give a good amount of understanding of the story and still short enough that kids won't get bored with it. It's also just the right length for a great bedtime story. We absolutely love this story book in my house, and I hope that your children will too. 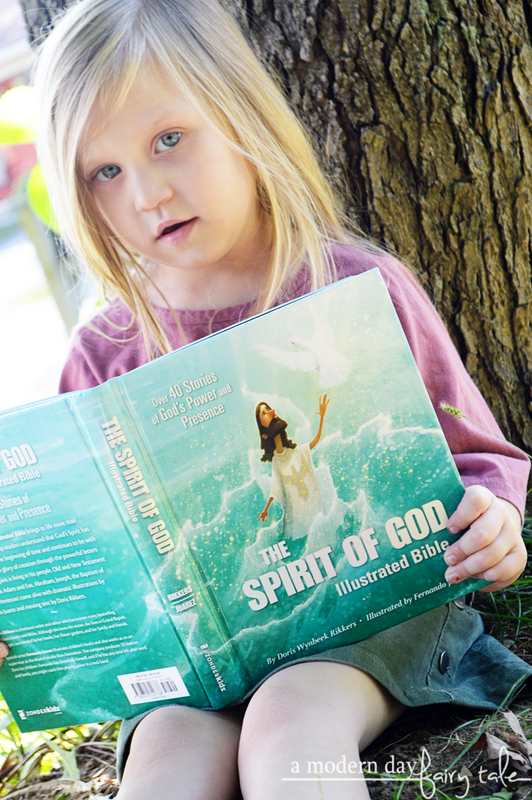 The Spirit of God Illustrated Bible is available to purchase now. And one very lucky reader is going to have the chance to win a copy for themselves. Enter using the giveaway form below. Not entering the giveaway because I was blessed with a copy of this book. It's so pretty, and the stories are perfectly worded for kids. Definitely a great book to have for the family! My grandmother would love this book. I would love to give this book to my niece! My brother is a pastor and would love reading this with her. I love how this bible has pictures, and would love to get it for my nieces. I really love the cover too!